Compare pricing for wedding limos, party buses, charter buses and more from all across the USA! Price4Limo has over 12,000 vehicles in our inventory with photos and prices for you to choose for your wedding. Getting a free quote takes less than 30 seconds and no email is required! A limousine is the perfect vehicle for a formal event, and what could be more formal than a wedding? Wedding ceremonies are meant to be joy-filled, memorable and fantastic, and can be even more so with one of our pristine limousines. A limo ride for the couple will transform an already special moment, into a magical one! The perfect wedding car is a limousine. It will get you to and from the wedding venue with grace and help make the big day that much more special! Ready to find the ideal limo or party bus for your wedding ceremony? Fill out our search form above and see all of our luxurious vehicles available for your special day. 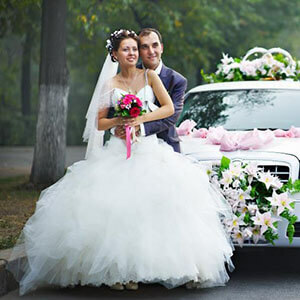 Here you will find affordable wedding limo pricing. Know your budget – Limousines, like most vehicles, come in many forms and styles which means that prices will vary. There are limousines out there to fit every budget, so don't fret over not finding a vehicle. 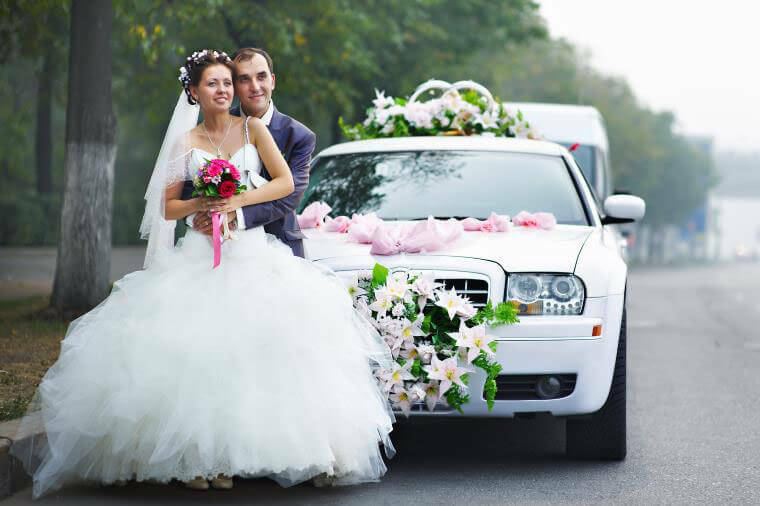 Keep in mind passenger count – Do you plan to give the wedding entourage a ride to and from the wedding venue or just the newly weds? It is important to know how many people you expect to be in the limousine so you can find a vehicle to fit everyone safely. 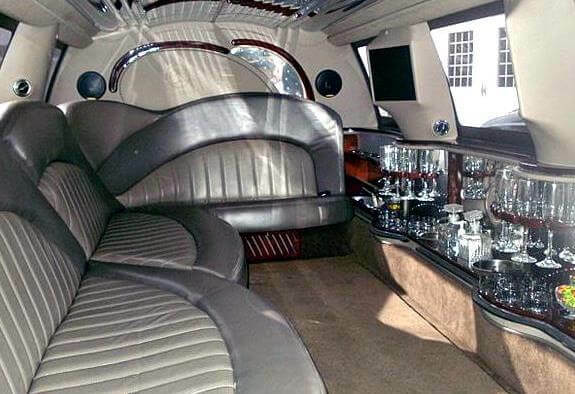 Figure out the time frame you need the limo for – Most limo rentals are by the hour so its important to know what time you will need the limo for. We do our best to help accommodate you by offering promotions on extended rentals to make sure you can get your dream ride at an affordable price! Have an idea what you want in the limo – Limos differ in size, capacity, and most importantly, features. 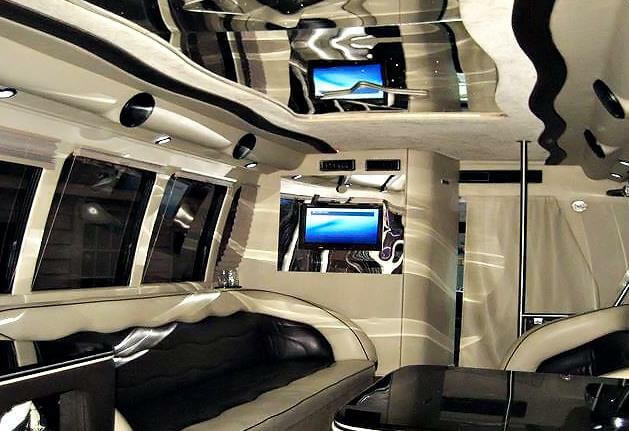 Some common features of our limos are private bars, club lighting, privacy panels, Wi-Fi and audio and video systems. 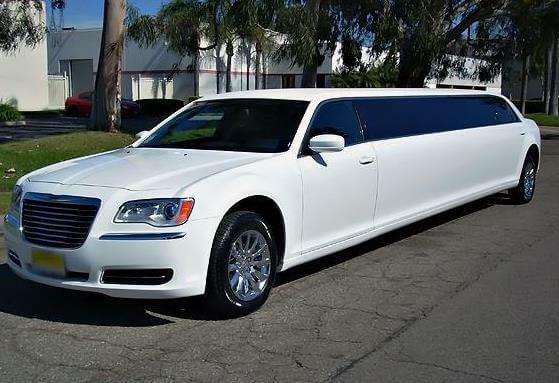 Not every vehicle comes equipped with all of these, so it is important to check the quote page so you can compare limo rental packages to find exactly what you are looking for. Have a plan of where you want to go – You should have a good idea of where you will be going in the limo. You can make as many stops as you'd like, but taking too many stops might increase the amount of hours you need the limo for. Knowing this ahead of time will help you plan for how many hours you will need to book and help you avoid getting overage charges. It is important to not only treat the bride and groom to an elegant ride, but to also treat the wedding entourage and family members attending the wedding to a fantastic ride as well. The perfect vehicle for the job is a party bus, and will show all the attendees just how special they are to you! A party bus will ensure that all your guests will be relaxed, and on time for the wedding ceremony, making sure everyone will get to see the kiss to celebrate the newly weds. The type of party bus - Party buses come in a variety of sizes and features, so there will be one out there to fit everyone's taste. It is important to make sure that the bus you get can hold everyone in your group so be aware of how many guests you expect to have. Find the right package – You have the ability to choose the features and amenities that you want. Take a look to see what is offered for each bus to find the right fit. Some feature are: a private bar, flat screen television sets, gaming systems, Wi-Fi, and laser lights. Follow your budget – There will always be a party bus to fit your budget. We have rental packages and discounts to make sure our buses stay affordable, so stay on the lookout for those to cash in on huge savings! Booking a party bus or limousine for you wedding ceremony and reception is easy. We offer a vast fleet of buses and limos at affordable prices ready to service you for the big day. Our vehicles range from standard vehicles to luxury and classic vehicles so we have a little bit of something for everyone! If you are booking a party bus or limo with us, you made the right choice. You should take a look at the fleet we have available in your area and decide which one you like best. We offer reasonable rates and have vehicles waiting just for you. 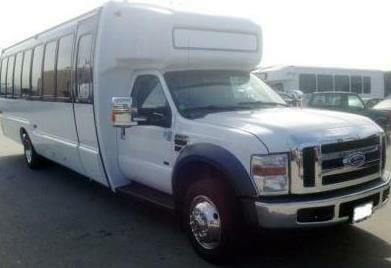 cheap mini bus rentalIt is easy to book one of our party bus rentals or limos for you wedding in town. We can make a reservation to accommodate any wedding group, and our typical wedding vehicles are our party buses and mini-buses. You will find wedding party buses as well as other coaches on our quote page or you can give us a call and we can tell you what we have available along with pricing. If you are going to be transporting a small, or medium sized group, we have sedans and shuttle buses available to service your wedding. These vehicles work well for group of around 14 passengers or less, and are great for the bridesmaids and groomsmen. For larger parties, we have shuttle, charter, and party buses. They service parties of around 15-55 and are our biggest vehicles available. We also offer limo service for birthdays and sporting events as needed. If there are small or medium group ride requirements, we offer sedans and shuttle buses for hire. These can work well for groups not exceeding 14 passengers. These rides can be great for the bride and groom, or the bridesmaids and groomsmen. We also offer limo service for birthdays and sporting events as needed. Our agency offers reasonable and affordable prices for most of our party buses and limos for hire. There are different wedding packages offered, so make sure to give us a call or generate a quote online to see what is being offered. Make sure to take advantage of our discounts available for certain limousines and buses. Rates depend on the number of seats, hours of hire, distance to cover, as well as availability so prices will vary.